Progressive Urology (Forest Hills) - Book Appointment Online! 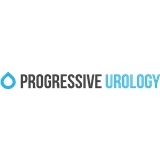 Progressive Urology provides patients with Board Certified Urologists focusing on patient care in a warm friendly environment. Our physicians have specialized knowledge and skill regarding problems of the male and female urinary tract and the male reproductive organs. Because of the variety of clinical problems encountered, we also have knowledge of internal medicine, pediatrics and gynecology. We provide a full range of urologic care, including diagnosis and treatment of prostate cancer, enlarged prostate, low testosterone, erectile dysfunction, urinary incontinence, urinary tract infections, kidney stones, bladder cancer. We stay up-to-date on the latest medical technology including Cyberknife treatment for Prostate Cancer, Cool Wave Microwave Thermotherapy, Green Light Laser, Robotic Surgery and No-Scalpel Vasectomies. The office was fairly efficient and once I was called, the tests and procedures went fairly well. Seeing the doctor 15 min, after the tests/scans were completed. The only real issue I had was that they did not have my pre-exam medical history survey that I had filled online. I'm not sure what went wrong but it's annoying to submit your entire medical history online and then have to do it again on paper in the office.